When you exercise, your body releases endorphins that energize your mood, relieve stress, boost your self-esteem, and trigger an overall sense of well-being. If you’re a regular exerciser currently sidelined with an injury, you’ve probably noticed how inactivity has caused your mood and energy levels to sink. This is understandable: exercise has such a powerful effect on mood it can treat mild to moderate depression as effectively as antidepressant medication. However, an injury doesn’t mean your mental and emotional health is doomed to decline. While some injuries respond best to total rest, most simply require you to reevaluate your exercise routine with help from your doctor or physical therapist. If you have a disability, severe weight problem, chronic breathing condition, diabetes, arthritis, or other ongoing illness you may think that your health problems make it impossible for you to exercise effectively, if at all. Or perhaps you’ve become frail with age and are worried about falling or injuring yourself if you try to exercise. The truth is, regardless of your age, current physical condition, and whether you’ve exercised in the past or not, there are plenty of ways to overcome your mobility issues and reap the physical, mental, and emotional rewards of exercise. The more physical challenges you face, the more creative you’ll need to be to find an exercise routine that works for you. If you used to enjoy jogging or cycling, for example, but injury, disability, or illness means they’re no longer options, be prepared to try new exercises. With some experimenting, it’s very possible that you’ll find something you enjoy just as much. Exercise is boring. But video games are fun. If traditional exercise is not for you, try playing activity-based video games, known as “exergames”. Games that simulate bowling, tennis, or boxing, for example, can all be played seated in a chair or wheelchair and are fun ways to burn calories and elevate your heart rate, either alone or playing along with friends. If you experience joint problems from arthritis or an injury, for example, a doctor or physical therapist may recommend isometric exercises to help maintain muscle strength or prevent further muscle deterioration. Isometric exercises require you to push against immovable objects or another body part without changing the muscle length or moving the joint. If you’ve experienced muscle loss from an injury, disability, or long period of immobility, electro muscle stimulation may be used to increase blood circulation and range of motion in a muscle. Muscles are gently contracted using electrical current transmitted via electrodes placed on the skin. Chair aerobics, a series of seated repetitive movements, will raise your heart rate and help you burn calories, as will many strength training exercises when performed at a fast pace with a high number of repetitions. In fact any rapid, repetitive movements offer aerobic benefits and can also help to loosen up stiff joints. If you want to add competition to your workouts, several organizations offer adaptive exercise programs and competitions for sports such as basketball, track and field, volleyball, and weightlifting. See Resources section below. Many traditional upper body exercises can be done from a seated position using dumbbells, resistant bands, or anything that is weighted and fits in your hand, like soup cans. Perform exercises such as shoulder presses, bicep curls, and triceps extensions using heavier weights and more resistance than for cardio exercises. Aim for two to three sets of 8 to 12 repetitions for each exercise, adding weight and more exercises as your strength improves. Most yoga poses can be modified or adapted depending on your physical mobility, weight, age, medical condition, and any injury or disability. Chair yoga is ideal if you have a disability, injury, or a medical condition such arthritis, chronic obstructive pulmonary disease, osteoporosis, or multiple sclerosis. Similarly, seated versions of Tai Chi exercises can also be practiced in a chair or a wheelchair to improve flexibility, strength, and relaxation. Exercise can play a vital role in reducing weight and managing type 2 diabetes. It can stabilize blood sugar levels, increase insulin sensitivity, lower blood pressure, and slow the progression of neuropathy. But it can be daunting to start an exercise routine if you’re severely overweight. Your size can make it harder to bend or move correctly and even if you feel comfortable exercising in a gym you may have difficulty finding suitable equipment. When choosing a gym, make sure it offers exercise machines and weight benches that can support larger people. Many larger people find using an exercise ball is more comfortable than a weight bench. Or you can perform simple strength training exercises in a chair. If you opt to invest in home exercise equipment, check the weight guidelines and if possible try the equipment out first to make sure it’s a comfortable fit. While strength training at home, it’s important to ensure you’re maintaining good posture and performing each exercise correctly. Schedule a session with a personal trainer or ask a knowledgeable friend or relative to check your form. Authors: Lawrence Robinson and Jeanne Segal, Ph.D. Last updated: October 2017. I understand first-hand what it means to never get sleep. Our daughter Abigail would only sleep random hours during the day and would be up all night playing and wanting to have “breakfast” and “dinner” when all of us were wanting to sleep. A lot of people told us to adjust to her, that her needs came first. My husband and I literally had to take SHIFTS. He’d stay up with Abby until 2:30 am and I would take over from 2:30 until he got home from work. We quickly realized that adjusting to our little girl was not helping us and most importantly certainly wasn’t helping HER. We have two other children aside from our daughter. Abby is 3.5, then we have Bronco who’s 2.5 and Shelby who just turned 1. Around the time Shelby was born we realized we really needed to find out how to get Abigail on a regular schedule. So we did our research. The pineal gland’s ability to produce melatonin. The eye’s ability to receive light to initiate the speeding up or slowing down of producing melatonin. Our body’s internal clock naturally is set to a 24 hour sleep cycle and with cues from light we can fall asleep. When we wake up, light cues our 24 hour clock to reset. People with CRD (also known as Non-24) do not have this luxury; their “master clock” continually delays putting them to bed later and later. This is something we noticed with our little girl. We could actually track her sleep on the calendar and know what days she’d be asleep for the night and what times. On a Monday she’d go to bed around 8:00 am. The next day 10:00 am and so forth until we’d get one week of a good night’s rest. When Abigail was a baby it wasn’t like this at all. She was all over the map and we had to suffer through it (so we thought). People told us she’d be 8 or 10 before she started sleeping regualry and even then she’d be up at random hours and fighting to nap during the day. More research on my part showed that our brains cannot rest our “master body clock” without light perception. This actually affects multiple body functions such as: day and night cycles, body temperature and the release of hormones like melatonin. Abby’s doctor suggested giving her small doses of Melatonin two hours before bedtime every night. He said that it would eventually help to set her natural body clock to normal. 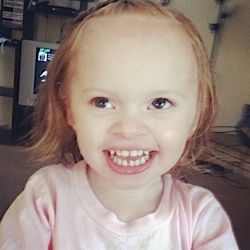 But, our daughter has ONH and her body struggles to regualte those small doses. So every night at 7:15 we started giving her 2.5 ml’s in a dropper. Liquid melation can be purchased at your local pharmacy. Then after a week or so we started giving her 5. As much as the melatonin is making a difference there a few very IMPERATIVE steps you need to take to keep your child sleeping at night. Routine! Routine! Routine! I cannot stress it enough. We’ve learned that our natual indiccator of time is light. Yes we have clocks on our walls we can see, but our body is actually responding to the changes of light outside. Normally, our “master body clock” depends 90% of it’s ability to tell time and regualte sleep patterns on light. But because children and people who cannot see the light, they acutally depend 90% on routines and scheudles and 10% on light. Don’t let your child sleep at all during the day. Stick to it! This is no walk in the park. 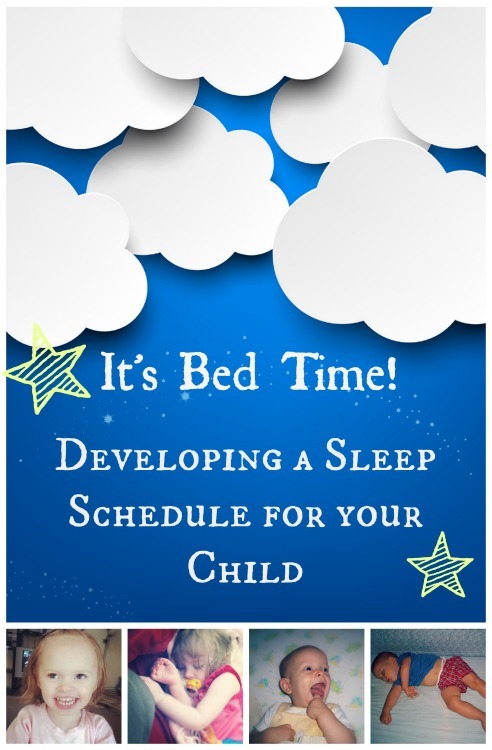 Getting your child to sleep at night takes time and dedication. You will be exhausted, your child will cry and throw fits, but you have to remember WHY you’re doing this. You are your child’s CUE. My daughter depends 90% on her routine and 100% on my husband and I to follow through with that routine. (Said quitely) It’s night time Abby, we close our eyes and fall asleep. (We tell her it’s night time as we serve dinner, we tell her it’s night time as we give her her medicine, repeating is key.) (Said happily and cheerfully) It’s morning Abby! We are all awake with our eyes open. It’s time to be awake and play today! (We express it’s “daytime” all throughout the day and plan activities.) Abby it’s lunch time! We are all eating now so we can be happy and not hungry! or Abby it’s time to go outside! Let’s put on our socks and shoes and ride in the stroller! We love going outside during the day time! We let Abby know exactly what time it is, what the meal is and what time of day it is. “It’s breakfast time Abby! 9 o’clock in the morning!” “It’s lunch time Abby! 1:30 in the day!” “It’s dinner time Abby! 6:30 at night!” We tell Abby throughout dinner that it’s night time. We express to our other children also. “So glad it’s night time, it was a good day!” “Time to get ready for night time and sleep.” We let Abby listen to the bath water run and hold her towel so she knows. We always explain to her where we’re going, who we’re visiting, their relationship to her, and what time of day or night we are visiting. We talk about it in the car or during the walk on our way. Physical cues are her pajamas, what she eats for each of her meals, her towel, blankets and brush etc. Even the way she wears her hair. Our children need us now more than they ever will. Every effort you make towards helping your child/children accomplish daily tasks is preparing them for their future. Is this hard? No. It is TIME consuming. Which makes it seem hard. Keeping Abby on the routine, though, can be hard. I can’t count the times when I have been completely exhausted, Abigail’s thrown huge fits, bitten me, scratched me, done everything in her power to try and fall asleep during the day time. But I STUCK TO IT. Even though it hurt, more emotionaly than physically, I knew what I was doing was for her benefit and her health. If you haven’t already, I’d strongly suggest taking your child to see a sleep pathologist. They’ll help your recgonize your child’s personal sleeping pattern (you might want to start by charting your child’s sleep before your appointment so you have something to discuss during that first visit). Once you know their pattern it is easier to repair and start a normal sleeping pattern. The success of getting your child to sleep regulary is 100% on you. When her sleep pathologist told me this I was so overwhelmed. I am happy to say however, that by following all four of the bullets above that Abby has been sleeping at night and through the night for 4.5 months! It has drastically improved her moods, her appetite and her ability to adapt to new situations. We’ve since moved two times and it hasn’t impacted her new amazing schedule. We had a babysitter for the first time who Abby willingly sat with and played with upon FIRST meeing her. She is starting to eat more, she is learning to walk and is overall a healthier child. I most certainly credit her progress to her sleeping through the night. I know you can do it. I did it with 3 kids under 3 and in diapers. If you need encouragement or advice please contact me as often you’d like! You can email me or give me a call at 801-403-1502. I am here to help! For more information on Non-24 Disorder, Master Body Clock and Bedtime Cycles please visit: Non-24.com. Don’t walk behind me; I may not lead. Don’t Walk in front of me; I may not follow… Just walk beside me and be my friend. 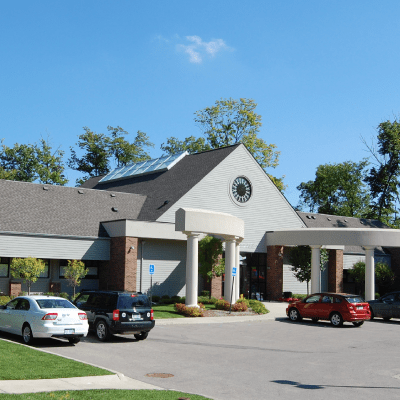 Friendship Circle of Michigan is a non-profit organization affiliated with Lubavitch of Michigan. Our goal is to provide every individual with special needs the support friendship and inclusion that they deserve. 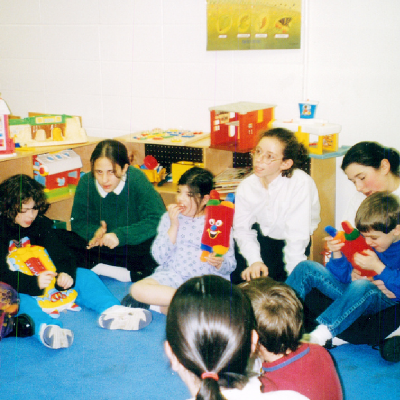 Friendship Circle provides assistance and support to 3,000 individuals with special needs and their families by providing recreational, social, educational and vocational programming. In addition to helping those in need, the Friendship Circle enriches its vast network of volunteers by enabling them to reap the rewards of selfless giving. Friendship Circle also provides support to individuals and families struggling with isolation, addiction and other family-related crises. Our staff is devoted to Friendship Circle’s mission of love, friendship and inclusion. With over 30 dedicated staff members, Friendship Circle has been able to grow and thrive. Friendship Circle’s board is a highly dedicated team of professionals with varying backgrounds and experience. Consisting of 24 diligant members, the board strives to uphold our values and our mission to forge strong bonds of friendship and further grow our community. Our Facility has been home to hundreds of programs since its construction in 2005. 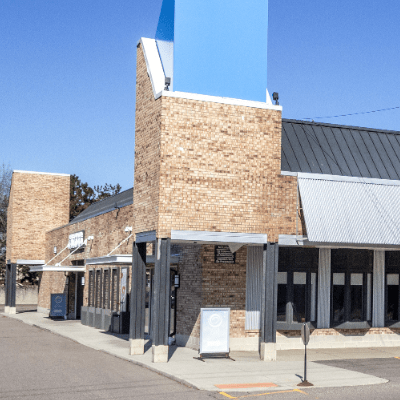 With a number of activity rooms in the Bauer Activity Wing, as well as the simulated-living Weinberg Village downstairs, Ferber Kaufman Lifetown is the perfect place to house all our programs. The Farber Soul Center is our newest facility, which will extend our programming into the lives of adults with special needs through the culinary, digital and traditional arts. 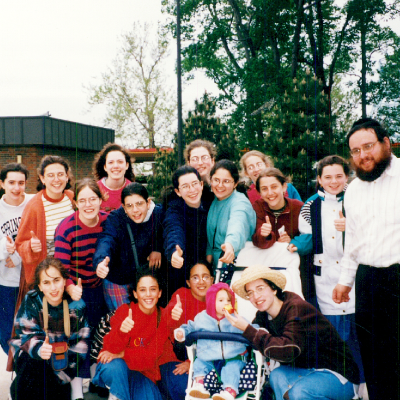 The Rebbe’s unconditional love to people knew no bounds. To the Rebbe they all belonged. He made them feel at home. The Rebbe’s warm smile would heal every aching heart. Friendship Circle is founded with eight volunteers meeting four families in their homes every week. Friendship Circle uses various facilities throughout the community for expanded programing. 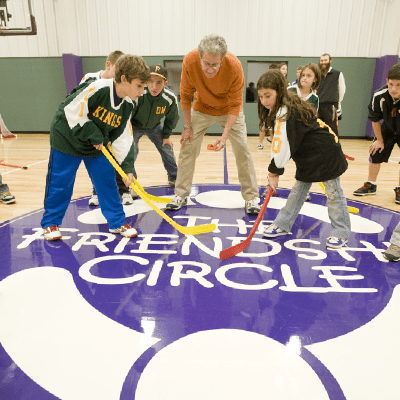 Friendship Circle gets a home of its own with the Ferber Kaufman Lifetown facility on the Meer Family Friendship Center. Friendship Circle recieves the generous gift of the Florene Elkus and Edward Elkus Memorial Gymnasium. Farber Soul Center Founded with the generous donation of the Farber Family and other supporters.